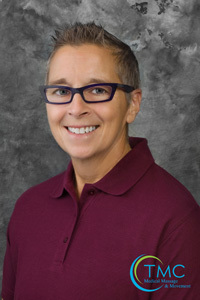 Lou received her education from Massage Away, Inc. School of Therapy, which is now the American Institute of Alternative Medicine, in Columbus, Ohio in 1996. Lou also received her Bachelor of Science degree at OSU. She met us all in class at American Institute of Alternative Medicine while she taught us. License # 33.06901. OSU and BWC Certified Provider. As an original member of the Clintonville Energy Collaborative, Lou is trying to heal the world one solar panel at a time! Trained in solar panel installation, the team’s second installation done by community members is complete. Lou equates it to a barn raising.